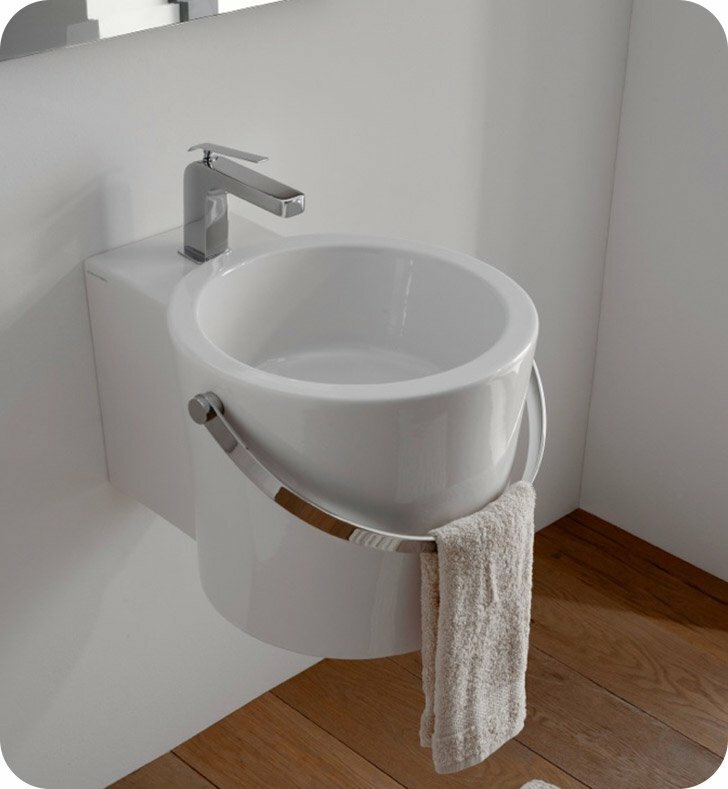 A luxurious vessel or wall mounted porcelain sink made in high-end ceramic and finished in white. This one hole ceramic sink from the Scarabeo Bucket collection is a contemporary-style ceramic bathroom sink. Manufactured in Italy. Will fit perfectly into your high-end personal bathroom.